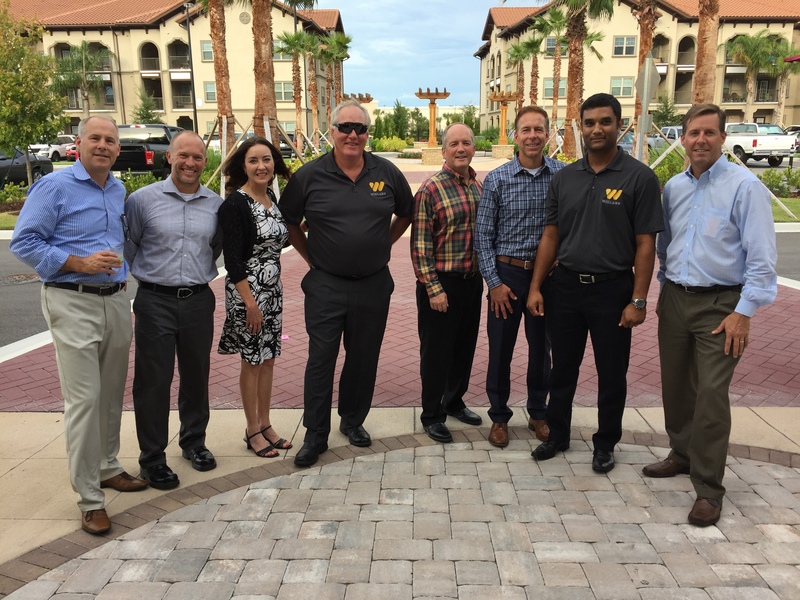 On Thursday, September 29th Wieland participated in the grand opening ceremony for the new Marisol at Viera luxury apartments in Viera, Florida. The eight building, 282-unit complex features a modern pool with two poolside bars and outdoor kitchens, an athletic club, and an elegant clubhouse with a private club room overlooking the pool. This was Wieland’s third completed project for Pollack Shores Real Estate.